Looking to step up your Instagram profile? Look no further! 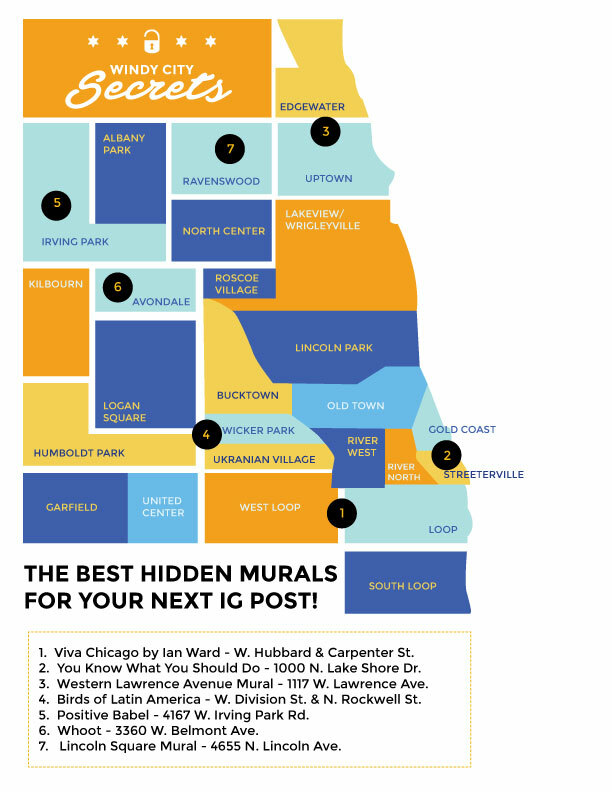 Check out some of Windy City Secrets’ favorite hidden murals for your next selfie backdrop! This giant mural stretches out at the end of the tunnel leading to Oak St. Beach and is full of beautiful illustrations, including everything from a seagull to desserts. Check it out in our quick look video! Birds of Latin America is a vibrant mural painted alongside of the building. Your favorite outfit is sure to pop against the bright shades of pink, blue, and green! 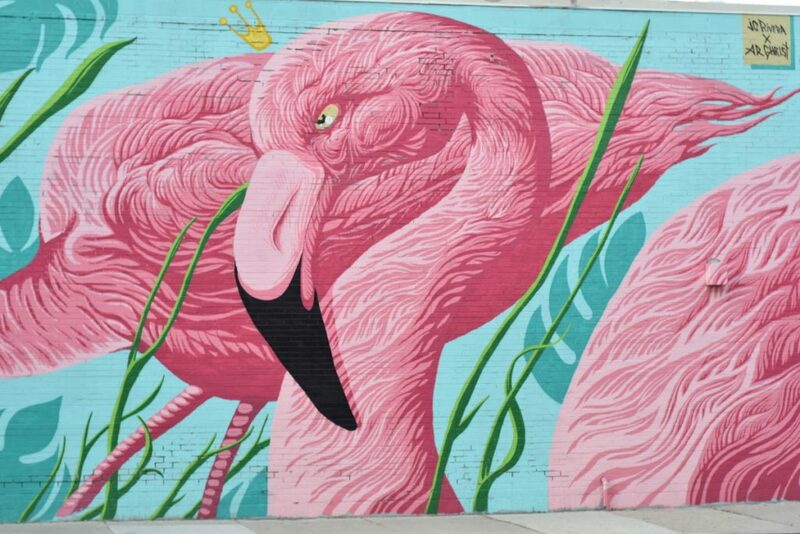 And who doesn’t love a few giant flamingos? Don’t worry, we’ve got more murals for you! Download the map below and check out the rest of our favorite hidden murals. If you visit any, be sure to tag us on Instagram, @windycitysecret!